This is the window of subject defination. For a description of the buttons please scroll down. 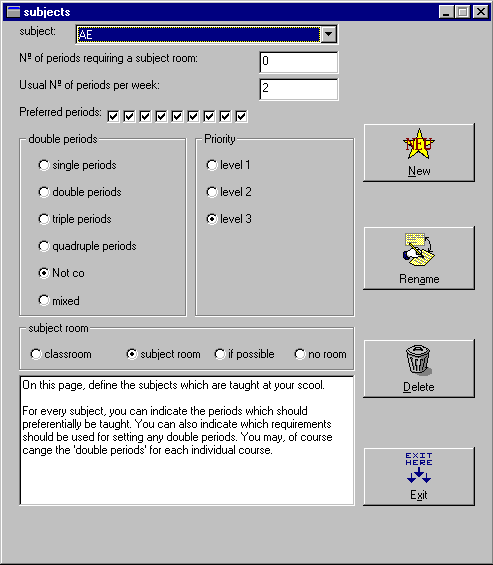 This button allows you to define new subjects which are taught at school. This button will rename the subject. This button will delete the subject. This button allows you to exit from the subjects window & bring to main screen of TURBO-Planner.